Broken garage door spring? 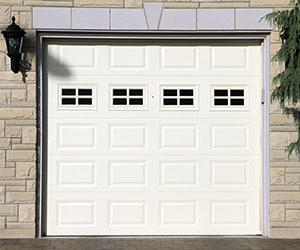 Garage Door Doctor can help! 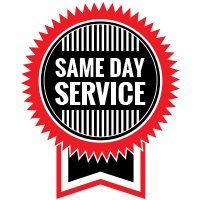 At Garage Door Doctor, we are proud to be your premier garage door service company in Indianapolis, and as such, we handle many different repairs every day. However, we get more calls about broken garage door springs than any other issue. This might be because your standard torsion spring has a 10,000 cycle lifespan, typically lasting between three and five years, and your standard garage door can last up to 15 years. However, just because a broken garage door spring is a common problem does not mean that you should try to attempt to repair or replace it on your own. Stay safe and call in an expert. Replacing or repairing a torsion spring is incredibly dangerous, and it’s not something you should ever attempt to do on your own. Torsion springs hold enough force to support the full weight of your garage door, and if they aren’t unloaded in the proper way, they can cause serious injury and, in some cases, even death. No one but trained professionals should ever attempt to service your garage door’s torsion springs. Over 30,000 people are injured in garage door related accidents every year, and saving a few dollars by doing it yourself instead of calling in a professional is just not worth it. If you have a torsion spring that is in need or repair or replacement, don’t risk life and limb. Instead, call in the professionals at Garage Door Doctor. 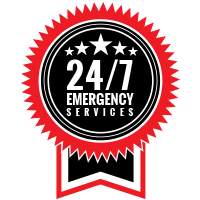 We have the experience and training to provide you with the safe and professional garage door spring repair or replacement you need, and what’s more is that we do so for an affordable price. We offer our garage door services for both residential and commercial clients, and we serve all of Indianapolis and the surrounding areas. Contact us today to schedule your free consultation.